I have devoted more than half of my life to teaching literature to young people and adults because I believe we can touch the hearts and essence of human beings through fiction and story-telling. I have a MA in Humanities, and what I enjoy most is promoting opportunities for reflection about modern and contemporary fiction, so that people can understand each other a little better. This has helped me to co-ordinate and lead workshops which sensitize us to the eradication of violence towards women, as well as to encourage gender equality in the work place. I am the co-founder of El Placer de Leer, “The Pleasure of Reading”, a social project aimed at young people in the rural area of San Juan Atezcapan, in the Valley of Mexico. For three years we have been holding Saturday reading sessions with under-privileged children in this small village and producing an annual play, presented and acted by and for the community. Gabriela was born in Mexico City, where she earned a degree in Dramatic Art in Escuela Nacional de Arte Teatral. In 2013, she move to France to specialise in Performing Arts Studies at Lyon’s University. There she was member of Equinoxe, the University’s dance collective. Since 2013, she participated in several Arts projects at CCO Jean-Pierre Lachaize. 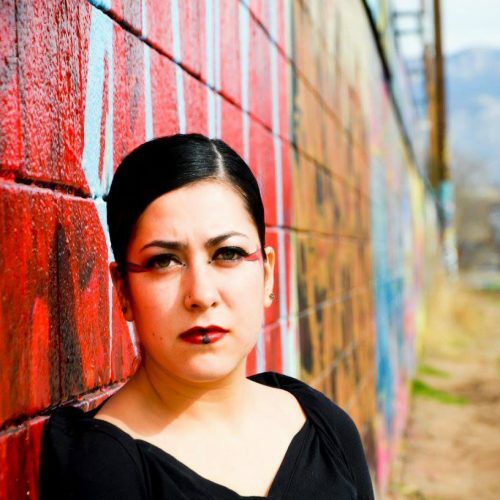 She moved to Carbondale in 2016 where she continues to pursue her interest in Performing Arts collaborating with CoMotion Dance, Dance initiative, VOICES and El Colectivo. Kristin Carlson is an award-winning poet, playwright and essayist who believes in the power of words to inspire change, stretch minds, and open hearts. She has served as a teaching artist for Think360 and as a playwriting instructor at Colorado Mountain College. In 2015, she earned a Write Change scholarship from the Dramatists Guild of America. Madison is a Roaring Fork Valley native. He is active in the Boulder and Denver Spoken Word Poetry scenes. He is proud to be working alongside The VOICES Project, and he appreciates the opportunity to help run the show. 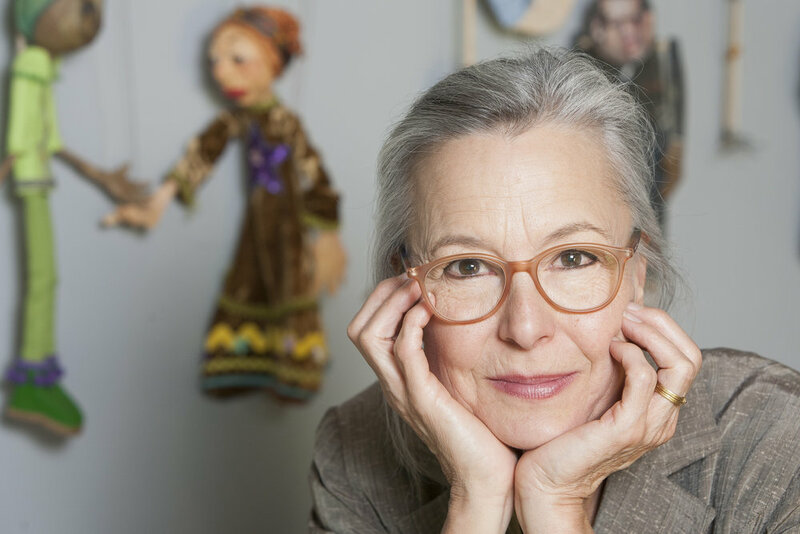 Shere is a lifetime maker with 40 + years as a visual artist: painter, wood sculptor, theater and film animation costumer. She holds a BFA in Painting and a Masters in Education. Shere follows the threads of myth and puppetry as they spring from the well of humanity. As an oral storyteller, she knows the transformative power of both deep listening and the human voice in personal and cultural understanding. She trusts artistic process and expression. Myrlin’s work is grounded in hip-hop and the literary arts. Myrlin was named the Arizona Humanity’s Council’s Rising Start Award recipient for his work as a youth advocate and teaching artist. Over the better part of a decade, Mylrin has performed for and worked with well over a hundred thousand Arizona youth, and tens of thousands of youth across the nation. Moley is a singer, poet, and vocal percussionist. From Limerick, Ireland, he is a musicologist in the field of Irish Hip Hop and is a performer of Irish religious song and Gregorian chant. I am an artist working primarily as a printmaker. I recently obtained my Bachelor of Fine Arts from Colorado Mesa University in Studio Art. My work has been displayed at the Art Center in Grand Junction as well as the Colorado Mesa University Gallery. I am currently working as a teaching artist for VOICES, the Aspen Art Museum and Rosybelle. I have experienced the power that art has to transform, and I am honored to contribute to VOICE’s mission. I intend on applying to a masters program in Art Therapy in the next couple of years. Renee is the Executive Artistic Director of VOICES. She has been performing and teaching theatre for 18 years, including 7 years as Education Director at Creede Repertory Theatre. Her passion is phyiscal theatre, and she is continually learning, recently participating in a workshop with the Berlin-based mask-theatre company Familie Floez. Ryan is a sculptor, ceramic artist, collaborative installation artist, and theatre artist. He was the Production Manager at Creede Repertory Theatre for many years, where he co-founded the nationally recognized KID Show Youth Theatre program (currently in its 15th year) with Renee Prince. Cassidy is a local theatre artist and teacher. She has been performing all of her life and is currently an actor with TRTC’s Consensual Improv. Cassidy is so excited and honored to be part of the VOICES team! Crystal is an Albuquerque, New Mexico born artist. Her dance life started with her families traditional dances of the Mexica or Aztec people. Crystal has dedicated her years to learning various styles of dance including: Aztec, Flamenco, Salsa, Hip-Hop and others.